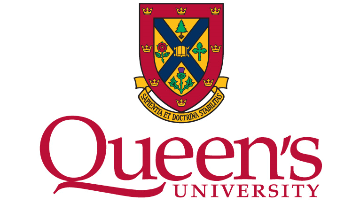 Queen’s University’s Office of University Relations is seeking a leader with proven success managing projects that require both brand and communication strategies to deliver big picture outcomes. Reporting to the AVP, Communications, the Director, Brand and Insights is responsible for planning and executing a variety of unique brand plans developed on an insights-based approach, ensuring we take an integrated approach to maintaining and continued development of our brand. This unique opportunity comes at an exciting time where there has been a shift from traditional advertising and significant advancements in digital advertising where a solid understanding of the human insights of each stakeholder group is paramount. The position will work with one of Canada’s premier brands and manage a variety of unique projects seldom found in one role. Queen’s is home to many unique partners, such as the Agnes Etherington Art Centre, the Isabel Bader Centre for the Performing Arts, and the Arthur B McDonald Canadian Astropartical Physics Research Centre, which are recognized across Canada and are award winning organisations. Additionally, this is an opportunity to direct the department through a time of significant transformation, which will allow a great deal of autonomy and creativity for the incumbent. Our ideal candidate will be excited at the opportunity to build a modern insights-based marketing service, and work on brand and reputation enhancing projects which will have a direct impact on the bottom line for faculties, departments, research, and other units within Queen’s University. At Queen’s University the employment experience is as diverse as it is interesting. Our environment mirrors the educational experience that we offer our students, in that it is collaborative, inclusive, and accessible. Employees are encouraged to get involved in a wide variety of interesting projects and initiatives that are both challenging and rewarding. We are a community that works together to create an environment where everyone has a full and enriching Queen’s experience. Click here more information regarding the University’s focus on digital communication. Identify, develop and implement strategic initiatives on behalf of the university that serve to enhance its image/reputation among various audiences. Recommend new integrated communication and branding initiatives to build the university’s brand. Oversee and develop Queen’s official trademarks (working with Student Affairs, Advancement, and Faculties on campus), ensuring they are adequately protected while generating maximum exposure and benefit for the university. Lead the development of Queen’s brand, including the strategy, architecture and visual and verbal identity; constantly inventing new ideas to ensure the evolution of the Queen’s brand. Build and strengthen relationships across the university community to lead the development of brand strategies in support of university objectives (e.g. student recruitment, support from funders and donors, etc.). This involves the creation of brand plans that result in consistent and engaging services, techniques and approaches. Provide expert advice and leadership to Queen’s academic, research and administrative units on communications and brand reputation issues. Coordinate integrated brand strategies and plans, advising senior administration officials as required. Provide counsel to the Associate Vice-Principal, Communications and collaborate on building a best-in-class brand operation. Lead initiatives and programs to integrate the work of Communications, Media Relations and Social Media with brand positioning and overall university brand strategy. Partner with Director, Digital Strategy to leverage technology. Partner with digital and communications leaders to ensure creative conception and production is developed and delivered on time and on budget, and is oriented in a way that advances campaign and organizational goals. Identify new brand building opportunities, and develop and implement initiatives to build and strengthen the university’s brand. In conjunction with the Director, Digital Strategy, conduct comprehensive market research in support of new program development using both primary and secondary methods such as focus groups, surveys and environmental scans. Support and mentor the university’s departments and units on various branding and communication activities both in a one-on-one setting and group settings. Participate in university-wide committees and working groups where a branding and communications presence is required. Measure and analyze marketing initiatives to assess ROI and ensure success and future direction. As applicable, oversee the preparation of internal/external billing as well as the tracking of hours, expendable items, and other costs attributable to individual projects. Prepare and manage annual budgets, as required. Provide strategic advice on the direction of funds towards paid media for the university central advertising budget. Oversee and develop Queen’s official trademarks, ensuring they are adequately protected while generating maximum exposure and benefit for the university. Plan, prioritize and manage the work of employees, providing strategic and tactical advice, guidance and coaching. Identify the need for staff resources, participate on staffing committees, and make effective recommendations regarding employee selection. Manage performance by establishing performance standards, reviewing and evaluating performance and conducting formal performance reviews on an ongoing basis. Assess staff training and development needs, and ensure that employees receive training required to improve and sustain successful performance. Investigate, address and resolve employee/labour relations issues, including disciplinary matters. Makes decisions or effective recommendations on matters involving possible discipline, discharge and probationary termination. Undergraduate university degree in Business, Commerce, Journalism, Public Relations, Communications or related field. Minimum of 10 years of progressive experience, including 5 to 7 years at a senior level in a strategic communications capacity. Demonstrated project and financial management experience. Proven management, leadership and relationship building experience with demonstrated skills in organizing, motivating and directing professional staff and colleagues, and working effectively with senior leadership. Demonstrated substantial experience in public relations writing and editing. Experience with building relationships with national and international media. Demonstrated commitment to fostering a diverse and inclusive work environment where there is mutual respect and collaboration across all teams. Strong strategic management and decision-making skills with respect to the use of marketing to achieve organizational objectives. Effectively prioritize and structure work of a service unit in the context of university wide strategies. Can identify high priority items and provide strong leadership to unit with a clear and motivating focus. Ability to embrace change to effective translate business objectives into strategic communications and branding solutions. Highly professional; project a positive and credible representation of the Brand Communications group. Strong branding skills and background are projected both internally and externally. Act as a professional role model to others, raising their professional standards. Strong analytical research skills and the ability to strategically use information gleaned through market research to improve and enhance communications to target audiences in support of the overall university brand. Excellent presentation and communications skills; confidence in presenting and communicating ideas to others. Effectively interact with internal and external clients. Excellent business insight; ability to place marketing objectives in a larger organizational context and use knowledge to make strategic choices in developing and managing a variety of projects. Proactively identify operational improvements to the unit necessary to deliver required services. Good organizational, problem solving and project management skills. Able to deliver consistently high quality solutions according to required timelines. Ability to create effective project management systems for coordinating multiple resources. Can effectively lead and coach others to manage projects effectively. Ability to think creatively and strategically in approaching various branding initiatives, which are often relatively repetitive in their objectives and strategies. Strong administrative skills in managing and tracking budget requirements. Determine university wide branding and insights-based strategies. Ensure that initiatives across campus are consistent with university brand character and strategy and overall communication plan. Recommend new marketing initiatives to build the university’s brand. Establish priorities for the Brand Communications team. Make decisions regarding allocation of staff resources against branding needs of the campus using integrated plans to guide decisions. Recognize opportunities to leverage messages and objectives across different programs/initiatives, and across different faculties and departments to enhance branding and communications consistency across the university. Determine appropriate marketing strategies and tactics given stated branding objectives. Recommend optimal integrated branding plans and approaches to internal university clients that are consistent with overall university plans and policies. Define effective project management processes for the University Relations Team. Identify trademark infringements requiring action (legal or other). Determine necessary actions to protect threats to Queen’s trademarks. Identify opportunities to build exposure and benefit to the University through its trademark. Assess job candidates and make effective recommendations on suitable hires. Make decisions and/or effective recommendations regarding transfers and promotions. Evaluate employee performance and decide on appropriate training or coaching to address lack of proficiency in carrying out responsibilities, or remedial action for staff disciplinary situations. Assess investigation outcome of grievances and make effective recommendations on appropriate course of action or next steps on grievances. Make effective recommendations on level of discipline up to discharge and probationary termination.